Detail Of A Medieval Fresco Of The Crucifixion Of Jesus Christ At The Basilica Santa Croce, Florence, Italy. Lizenzfreie Fotos, Bilder Und Stock Fotografie. Image 111725977. 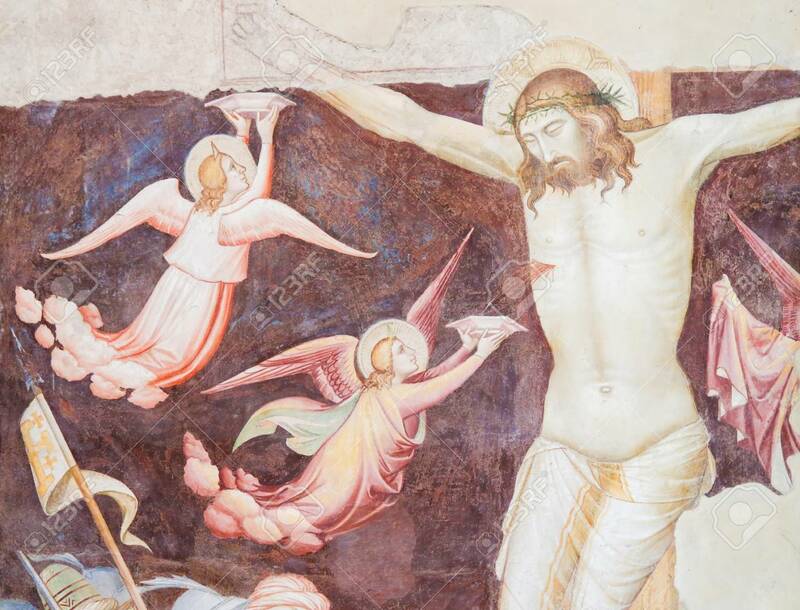 Standard-Bild - Detail of a Medieval Fresco of the Crucifixion of Jesus Christ at the Basilica Santa Croce, Florence, Italy. Detail of a Medieval Fresco of the Crucifixion of Jesus Christ at the Basilica Santa Croce, Florence, Italy.